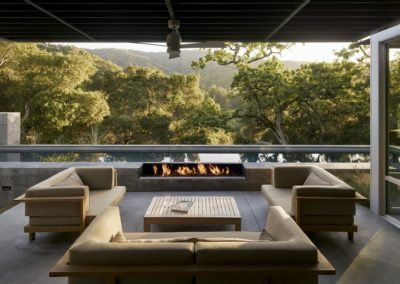 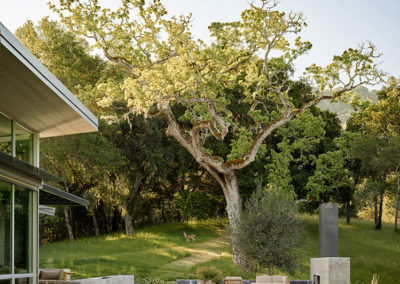 Atop a ridge in the Santa Lucia mountains of Carmel, California, an oak tree stands elevated above the fog and wrapped at its base in this ranch retreat. 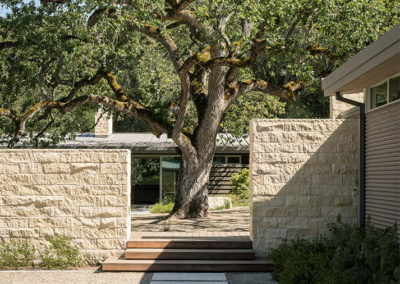 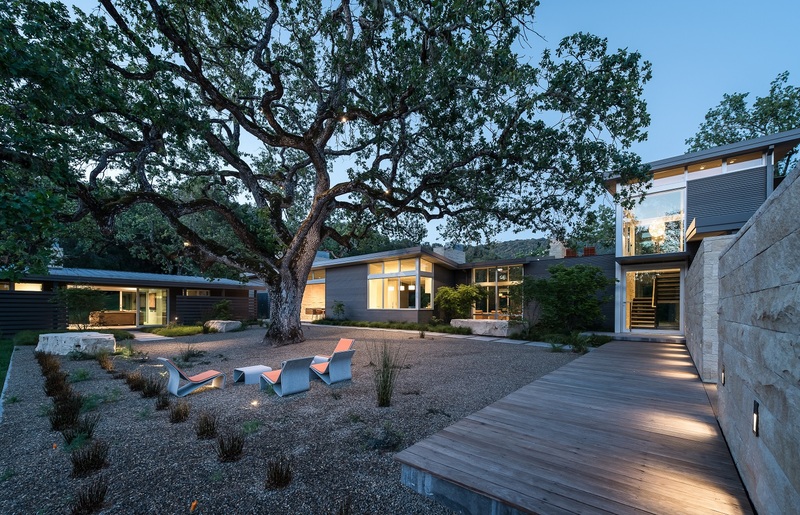 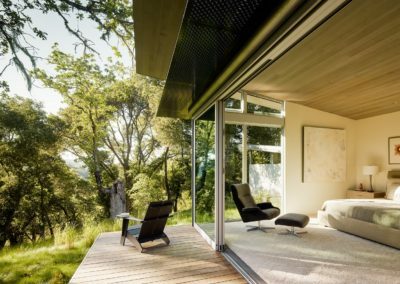 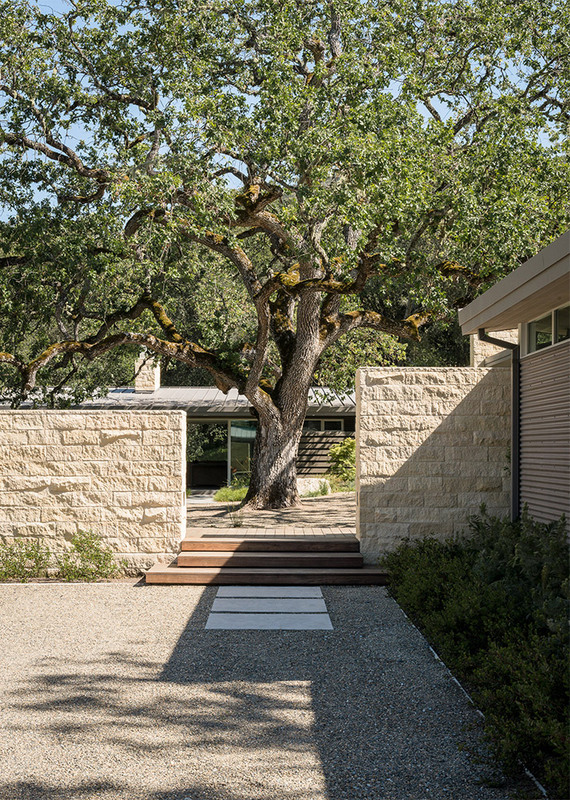 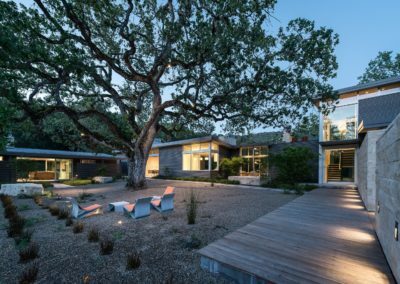 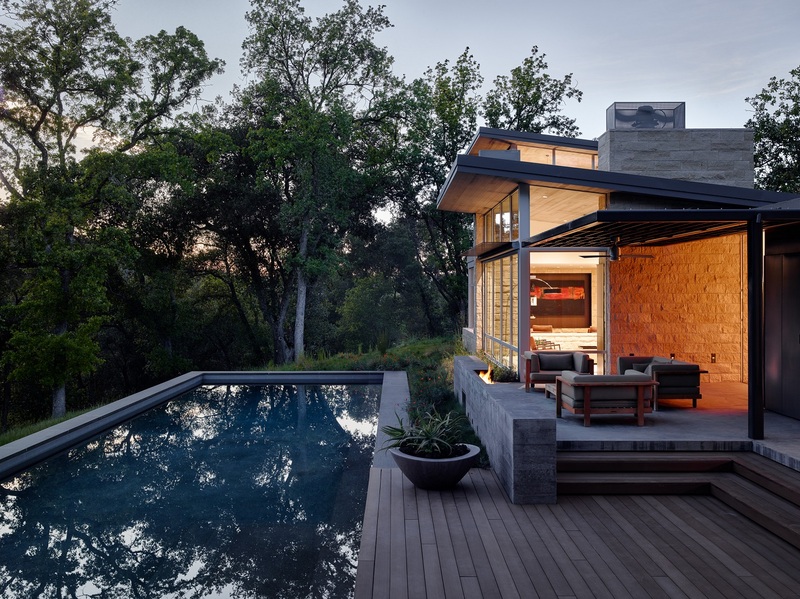 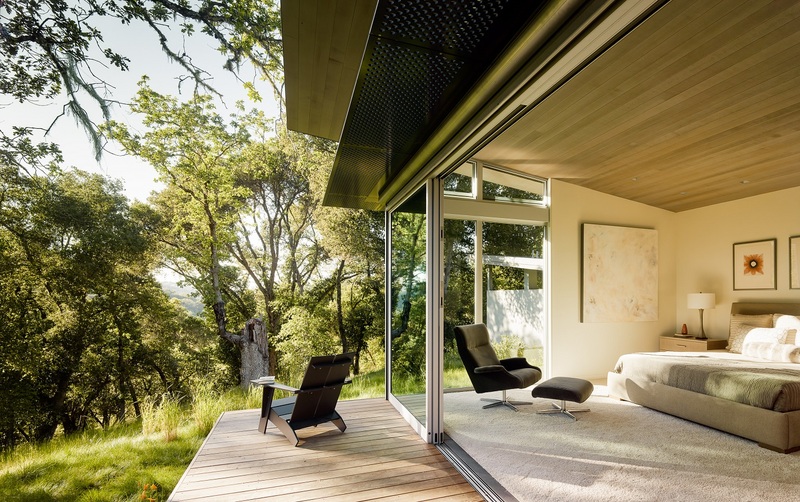 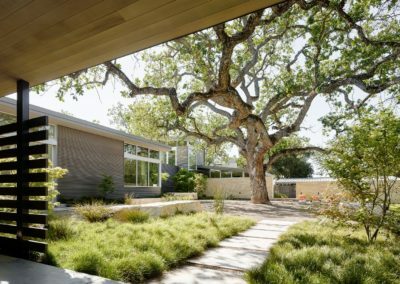 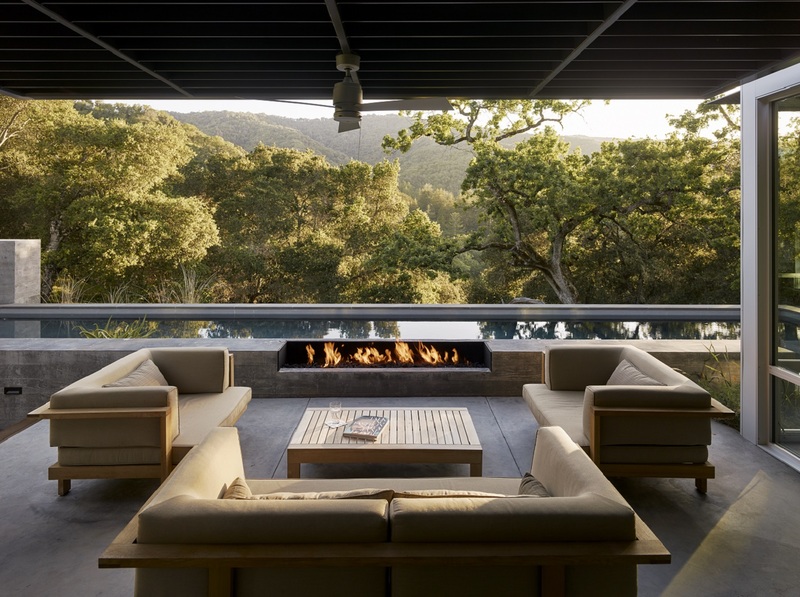 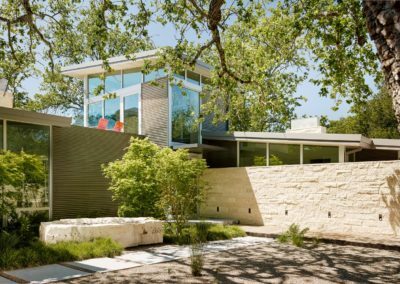 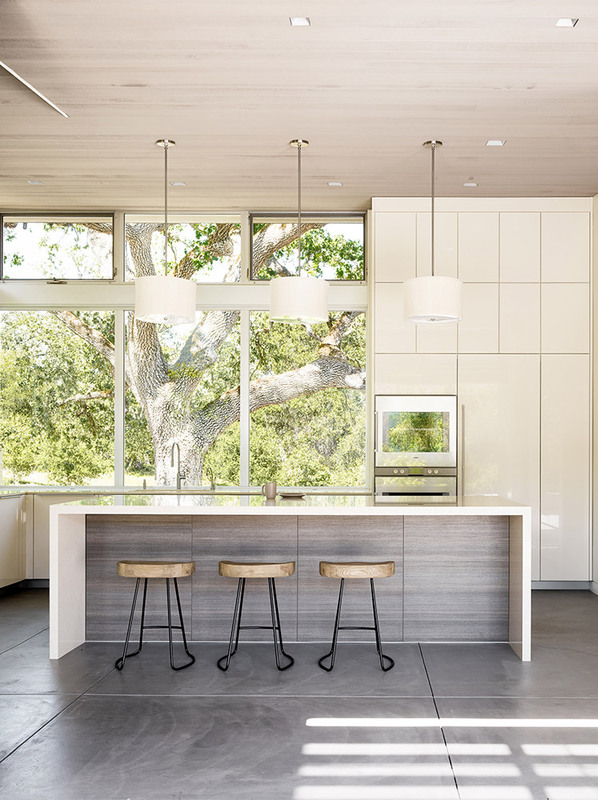 The weekend home’s design grew around the 100-year-old Valley Oak to form a horseshoe-shaped house that gathers ridgeline views of Oak, Madrone, and Redwood groves at its exterior and nestles around the tree at its center. 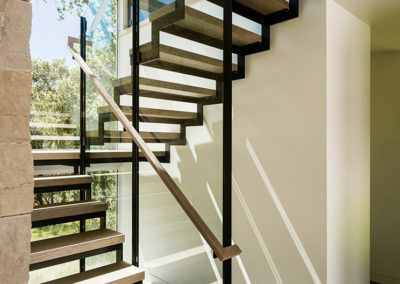 The home’s orientation offers both the shade of the oak canopy in the courtyard and the sun flowing into the great room at the house’s rear façades. 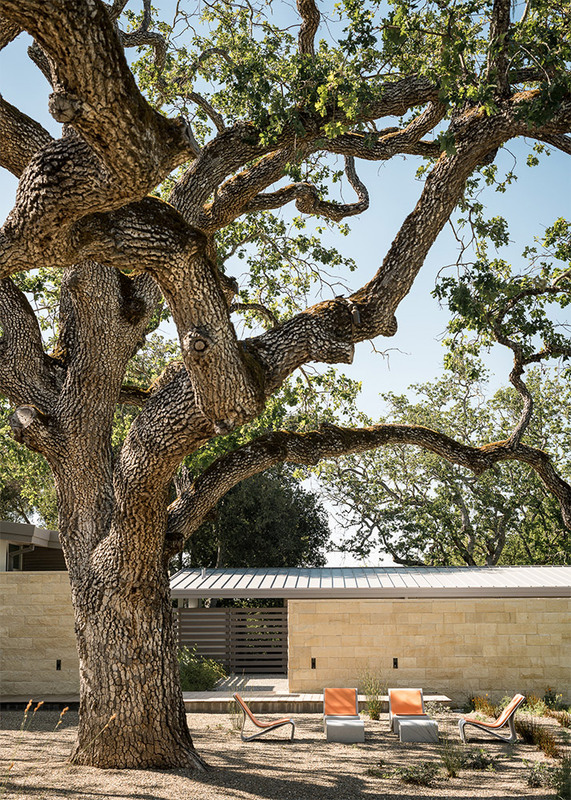 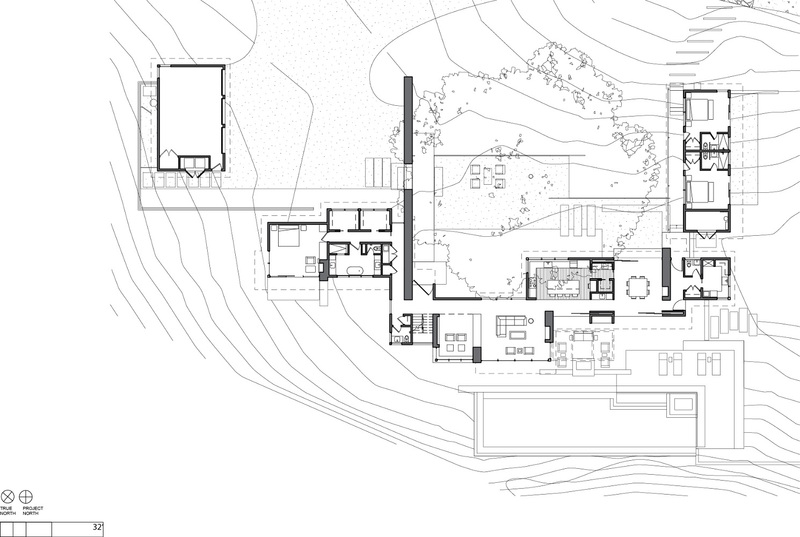 This modern take on a traditional ranch home offers contemporary materials and landscape to a classic typology. 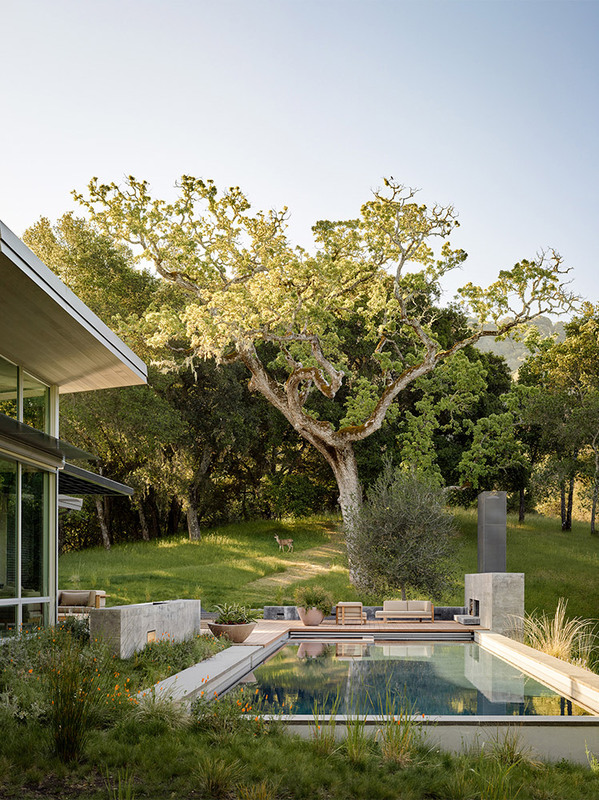 From the main entry in the courtyard, one enters the home’s great room and immediately experiences the dramatic westward views across the 70 foot pool at the house’s rear. 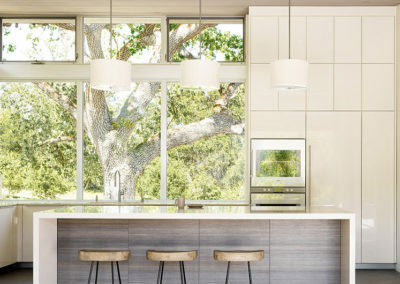 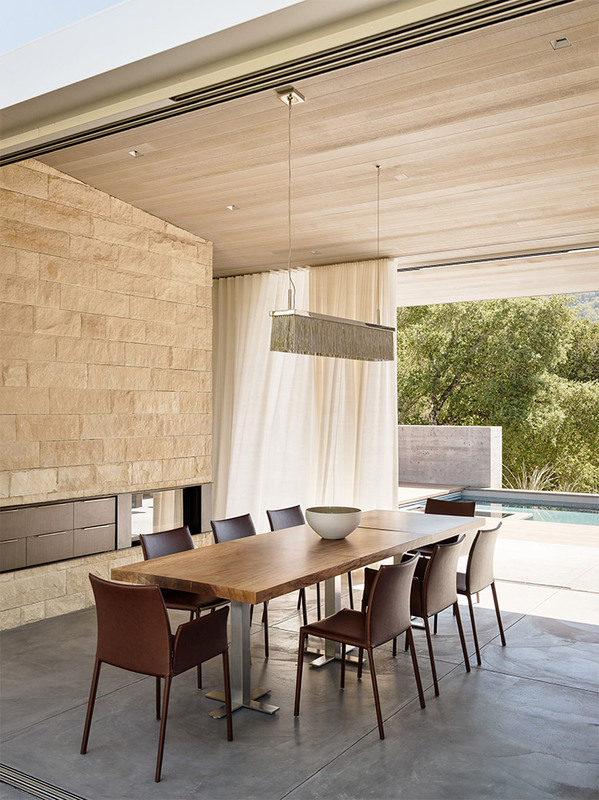 In this expansive public area, programmatic needs flow and connect – from the kitchen, whose windows face the courtyard, to the dining room, whose doors slide seamlessly into walls to create an outdoor dining pavilion. 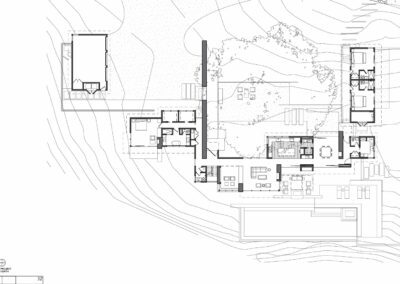 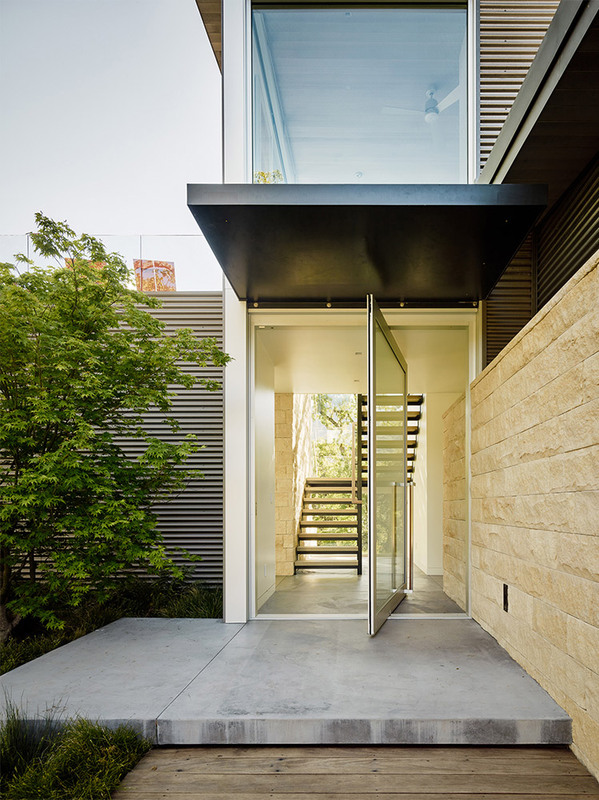 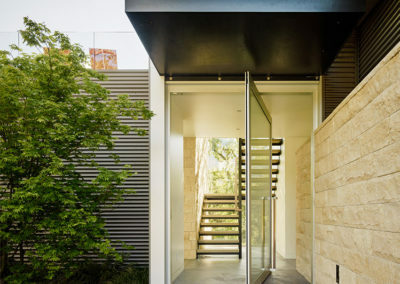 The primary circulation axes flank the internal courtyard, anchoring the house to its site and heightening the sense of scale by extending views outward at each of the corridor’s ends. 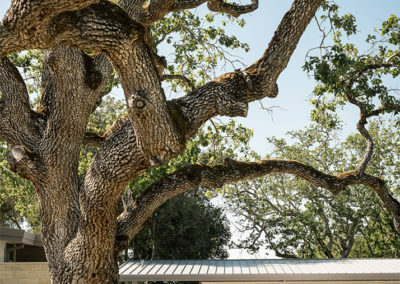 Guest suites, complete with private kitchen and living room, and the garage are housed in auxiliary wings connected to the main house by covered walkways. 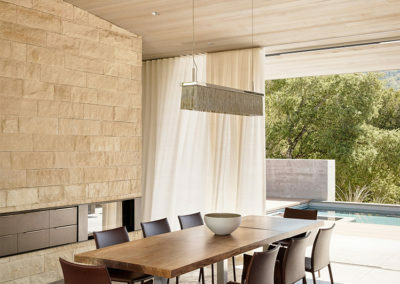 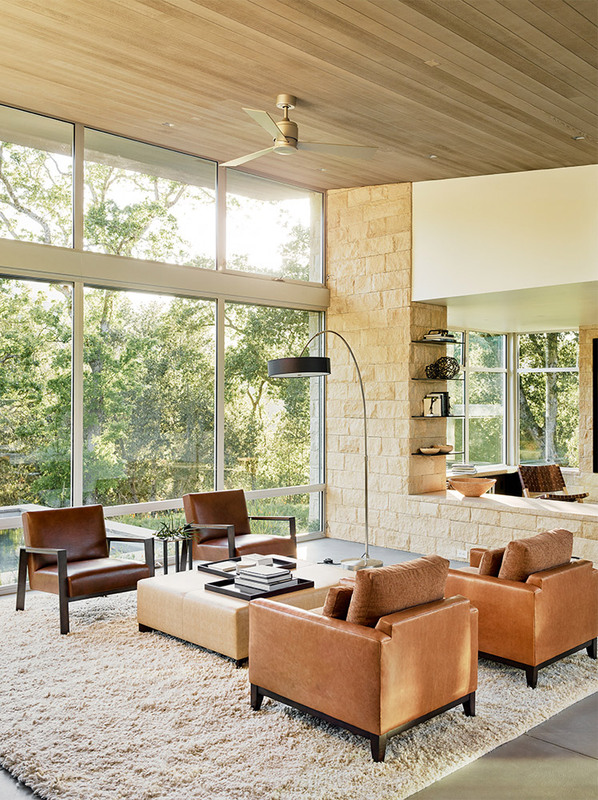 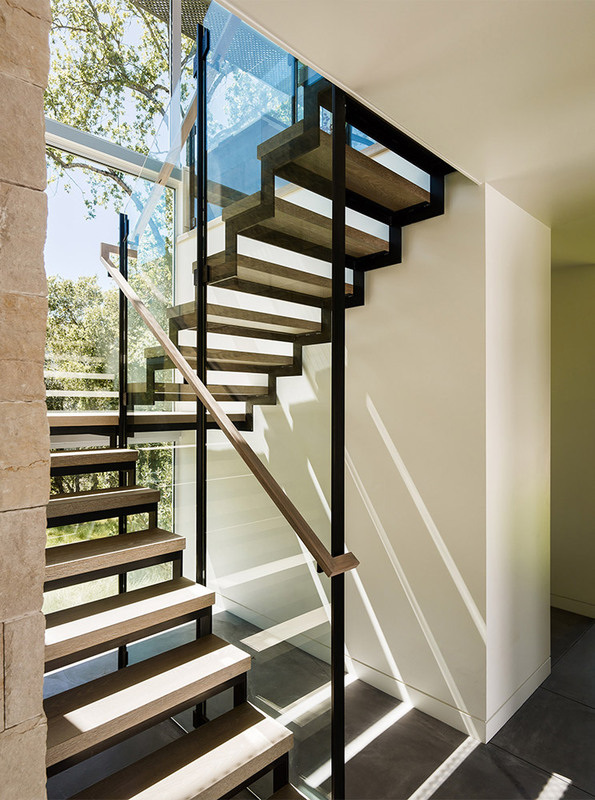 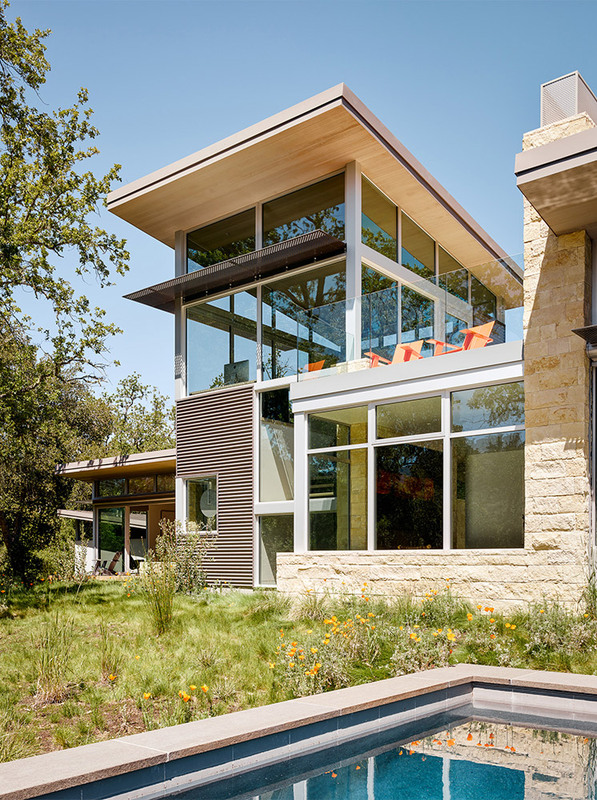 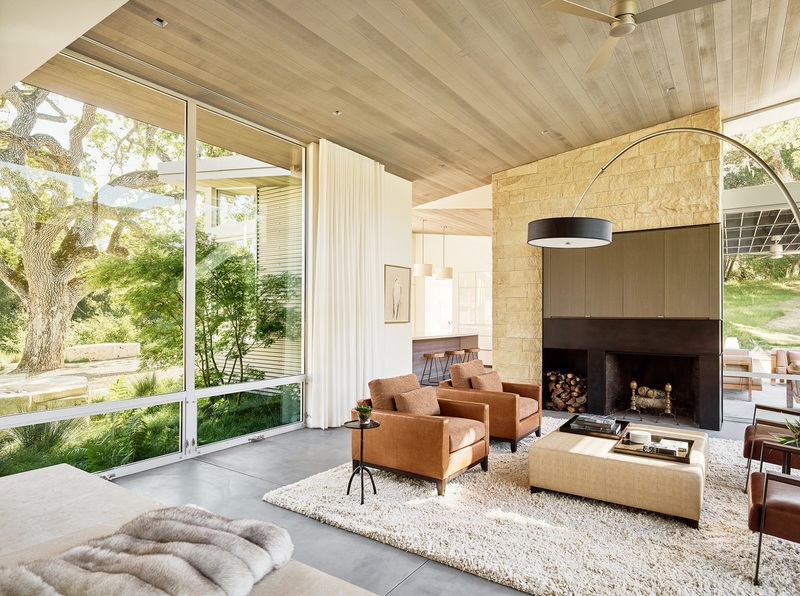 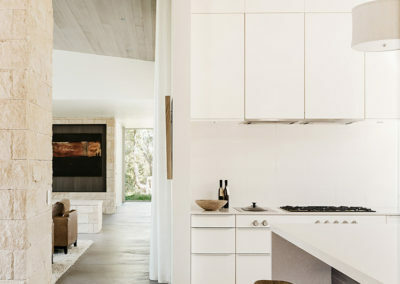 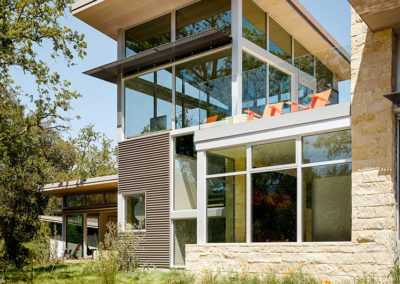 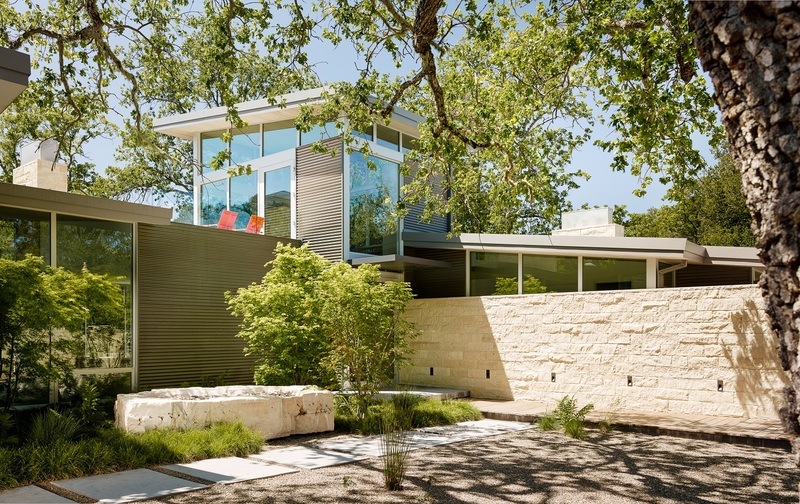 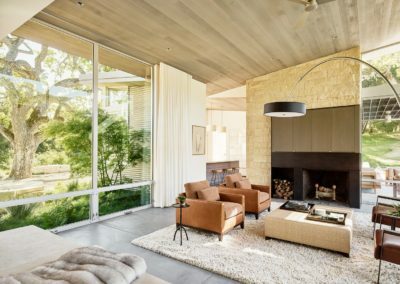 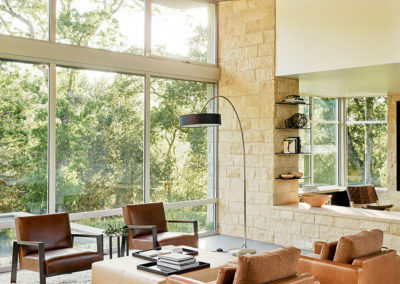 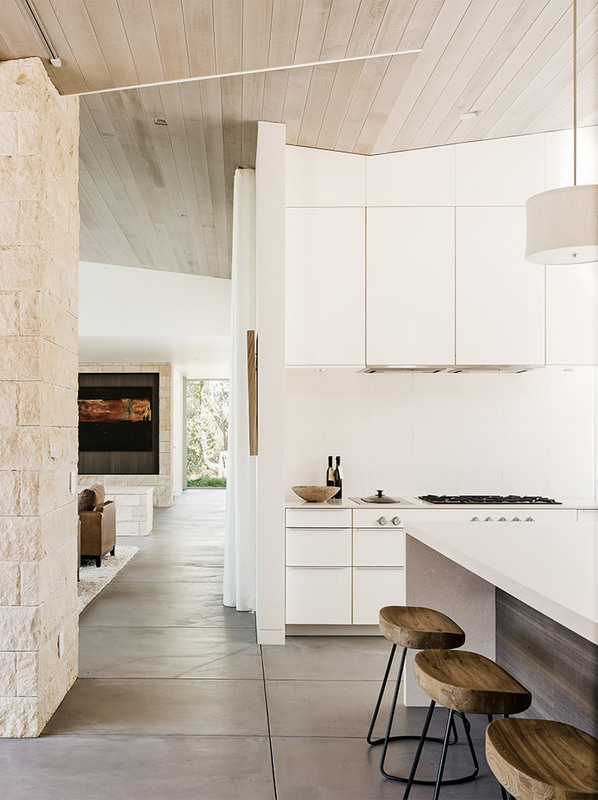 Building materials including pre-weathered corrugated steel cladding, buff limestone walls, and large aluminum apertures, and the interior palette of cedar-clad ceilings, oil-rubbed steel, and exposed concrete floors soften the modern aesthetics into a refined but rugged ranch home.